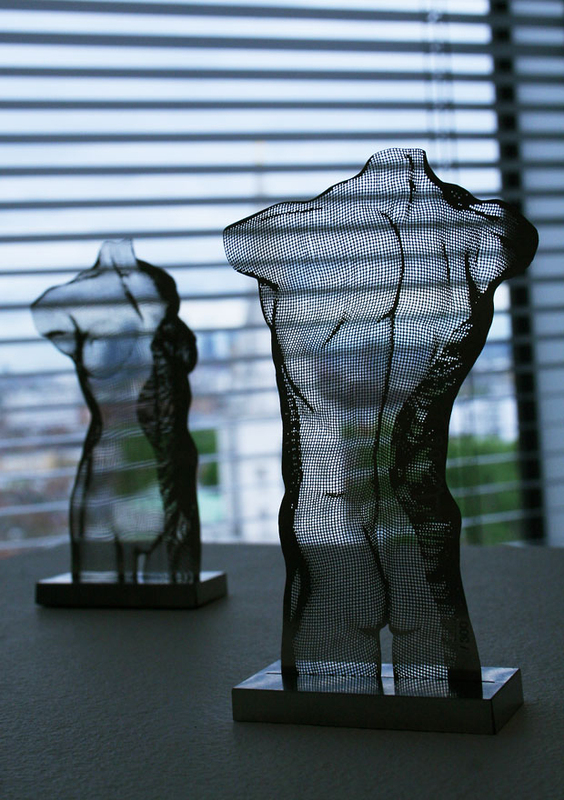 Miniature stainless steel body portraits of a female and male torso in a limited edition of 300. Available as a single or a set. The edition of 300 is signed and numbered and comes in a designed envelope as an authenticity document, including rectangular bases for a free-standing display.